If you are thinking about getting a dedicated server with Godaddy because of their cheap prices, I understand. But how far will their server really take you? After dealing with performance issues with godaddy with another client, I build my own server and colocated it. Then I did some benchmarks comparing the two. As you will notice the hardware running in the Godaddy Server is pretty much bottom shelf components. The Raid card is almost the cheapest thing that will push RAID 1 or 0 accross 2 SATA drives. Also Keep in mind that the RAID card only supports SATA I ( 1.5 Gb/s ) speeds. It will run SATA II drives but you won't get 3.0 Gb/s out of them. 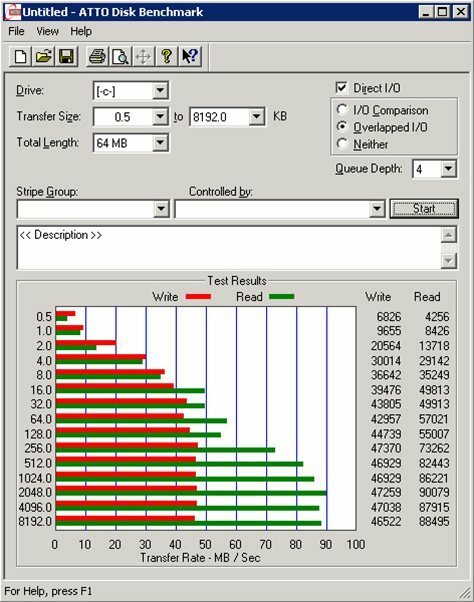 The WhiteSites Server is running a very beefy ( and expensive ) SAS raid card with a 256 MB of built in Memory. Now if you are just running some small websites, the Godaddy server will get the job done. But if you want them to be fast, and be able to handle very large traffic spikes, I suggestion you consider a SAS RAID solution. This is why buying a bigger RAID card is worth it. 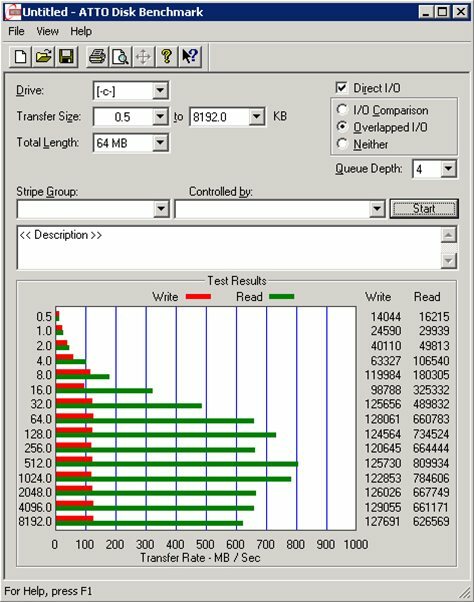 Obviously my disks are not moving data at 800 Mb/sec, this is a result of the RAID card's 256 MB on board memory. Also for Reference I had the strip size set to 64 K blocks. Now ask yourself, where would you rather be hosted? As you posted in other posts colocated server's more flexibility than Dedicated server, you can choose your own hardware stuff, add new hardware easily. I think paul invested about $1k+ on his server including additional hardware(Raid Card and SAS HDD's, etc) if you compare this with any Dedicated server, we can save a lot of money annually. Yeah its amazing how much they would charge for similar hardware. Although things like Hard drives don't last forever. I have heard from some people that if you have a very high demand server, you might get 1 year out of a good SAS drive. Granted when I say very high demand, the box is likely to be producing some very high profits. But still even if you are forced to buy brand new drives this would cost you about $200 / drive. The fact is there is a lot of money to be made in dedicated servers. Hosting.com seems to be pushing their Dedicated and Cloud hosting services since they over took HostMySite. Nobody wants to be a shared hosting company anymore because shared hosting requires much higher levels of support since your clients are likely to not know what they are doing. However I feel things will change dramatically over the next 10 years. With so many companies trying to get into the dedicated hosting business this will drive prices down. That and I can see many more companies and people doing what we did and building their own server, and then colocating it. Most people and companies don't run high demand websites. For these people a old Dell Poweredge 1750 Rack Server would get the job done, and this could be bought for $100 off ebay. I just feel that there is such a huge market of used servers that sell for practically nothing, this will ultimately affect the demand for new ( expensive ) equipment. Just goes to show that if you want it done right you have to do it yourself. I know some people in UK who sell dedicated servers. have a look at this these specs too. How ever the Collocation server does have upper hand than a Dedicated Server, my suggestion is anyone who is looking to get a dedicated server should reconsider it before they invest. That first deal doesn't look too bad for a dedicated server, but with it being in the UK, the Ping times would be terrible. Dedicated hardware makes sense if you can utilize all of it, but most of the time clients only use a small fraction of what they are paying for. This is why Shared Hosting is so cheap, but at the same time Shared Hosting brings support costs that most Providers don't anticipate. That and once you load up 300+ websites on a single box you are bound to see a lot of fighting for resources. On the second box 4 Gb of memory wouldn't last long. I have 8 GB on my box and I am already at 35% usage of that. But still 700 / month for RAID 10 on SAS is not that bad of a deal. Actually rather competitive to what I have seen. Still you are right, colocation is the better way to go. In my opinion website startup companies will never get head as long as they outsource their hardware to datacenters that just want to make heavy profits. A Server can last a long time but for this to work its important your Developer be responsible for the box, as they are the ones writing the code that will run on it. It may give a little trouble but i will say it's part of our job it's a right time to improve some server administration skill.